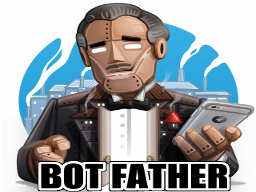 BotFather: They call me the Botfather, I can help you create and set up Telegram bots. /newbot – Create a new bot. /token – Generate authorization token. /revoke – Revoke bot access token. /setname – Change a bot’s name. /setdescription – Change bot description. /setabouttext – Change bot about info. /setuserpic – Change bot profile photo. /setcommands – Change bot commands list. /deletebot – Delete a bot. How I can delete this command?!?? Hi Arya! Don’t worry about that, just go to /setcommands once again and write the FINAL list you want again. BotFather will automatically replace the old command list for the new one. So, you don’t delete, you just rewrite the final command list. How I can delete theme? or don’t show them in group? Don’t worry about that, just go to /setcommands and write the FINAL list you want again (type the whole list and then press SEND). i set some commands and now i don’t need them! i want no command! how can i delete all command that i set before? –> So if you don’t write anything there will be no bot commands (I think, have to try yet, lol). I want to know how can I make a command that when i click on it,then show another keyboard with different commands?like pages and clicking in websites. Are you coding or have you built your Bot with Paquebot, Manybot etc.? how can i make my bot work in groups…. i made my bot from Paquebot. Its working fine when interacted with it but it doesnt work in groups…. might be i dont know right commands … can you check it out ..?? HI Luvish, you have to activate this option through @BotFather. Hi. Why if I try to create my list botfather replies “Unrecognized command. Say what?” ? Are you following BotFather instructions? I have a little problem. I made a bot that gives you a random number between 0 an 100. For me alone it works great but when i creat a group, the bot dont work. he ignor all commands. What I have to change to fix this problem? by the way, I created the bot just with Bot-father. there are not big coding in the background. How can make welcom text?? Forexample when a new user join to bot, and then press start, show a custom text. Is it possible to change a bots “username”? Example: if I have named a bot GoogleTest_bot, and now want to change it to Google_bot. Botfather /setname changes just the visible name, not the username (@username_bot). Thanks. I have the same problem. Have you found any solution? If yes, please kindly advise me too. Thank you. how to return main menu from several sub menu? And I have a question, can a bot hack my cellphone? I mean can it collect and steal my passwords and private information? I received a message from a friend about a bot and I opened(started) that bot but I’m not sure if it is secure and safe or what is its purpose. I’m really worried. how can i add a command in my bot to select a random number between number A and number B? Hi , Is it possible that bot join to channels automatically ? I mean search content of channels and if it is desire channel join to it ? I also look at following thread but as I comment there I want to automatically join to channels. 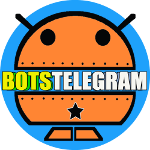 My Bot had deleted, after I delete my telegram account,hiw can I back that? i added a bot (@asaaBot) to this Group: ( Official iranian Aviation ) about 1 year ago. but now bot is sending a command /stop /start repeatedly. I remove the Bot completely by BotFather Delete Command, But it is sending again…. how to remove a (bad) bot from group by administrator. TV, therefore I simply use world wide web for that reason, and get the hottest information. Hello! Someone could tell me if this bot is malfunctioning? I changed the name and the picture of a bot with /setname and /setpic, but still I see the old name and old picture in chat. Is there anything else I need to do? I want to write a command that get the group members message and write them to an excell file.can I do this by telegram but? How can i make a command on botfather? For example i type /wallpaper – get wallpaper but he say unrecognised command say what? How can i fix it? How can i make a command in botfather to send a photo. For example if i say /photo the bot send a photo to me? to join and get ? cash for fast start! And I am using exactly that format, with new lines separating each command. Same issue. Is there already a solution? hi, how can i deactivate a bot. i don’t want delete it. 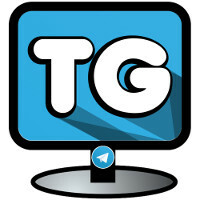 how to get my telegram id? How can I delete a bot? someone added my bot to his channel , how can i remove my bot from channel i’m not admin inn ?!!…. In the bot father you have a command /setjoingroups in which you can set the status disable so that no one can add your bot to a group. It’s amazing to pay a quick visit this website and reading the views of all colleagues about this post, while I am also eager of getting experience. Hi to everyone! Who can answer me, how to work with /setcommands? I’m sending everything, but botfather says: unrecognized command, say what ? And what I should do ? How to write an API to send command to BotFather? It it possible? How can I remove the arrows after the first message in the menu? Hi. is there any way to find all channels that my personal bot is joined to it? Hi, i dont know why but i cant seem to access the BotFather Link why is that?